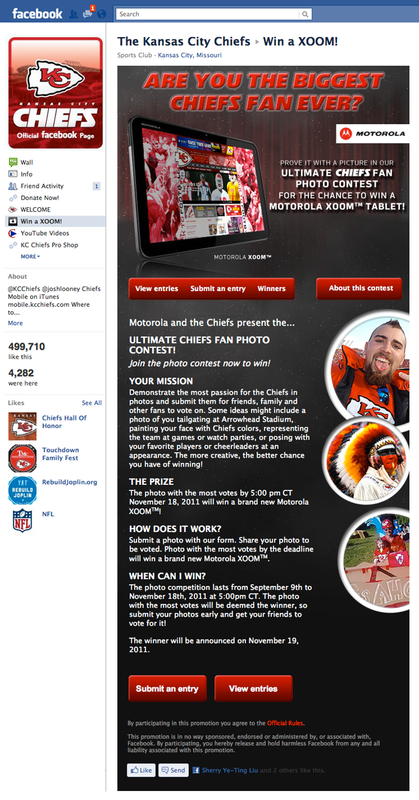 We used the Offerpop platform to build a photo contest for Kansas City Chiefs sponsor Motorola, who wanted to give away a Motorola XOOM tablet. 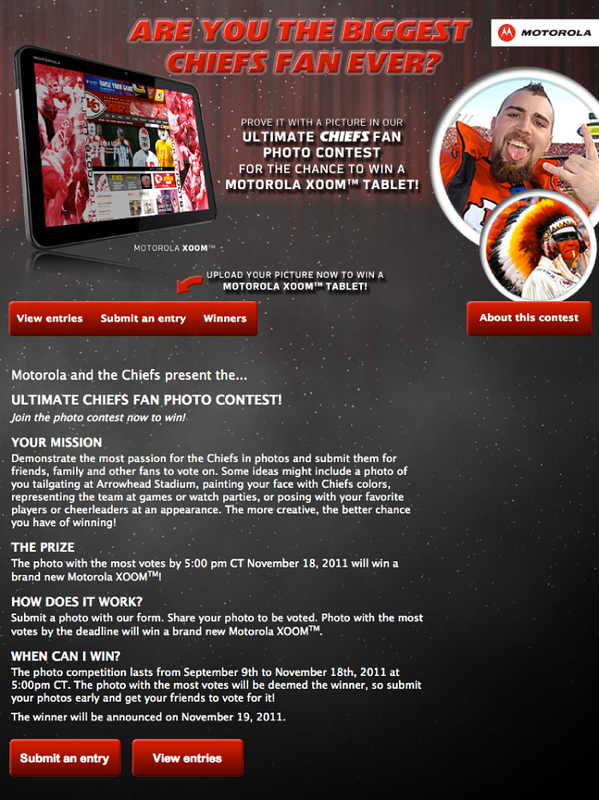 The fan with the most votes on their photo will win the tablet. 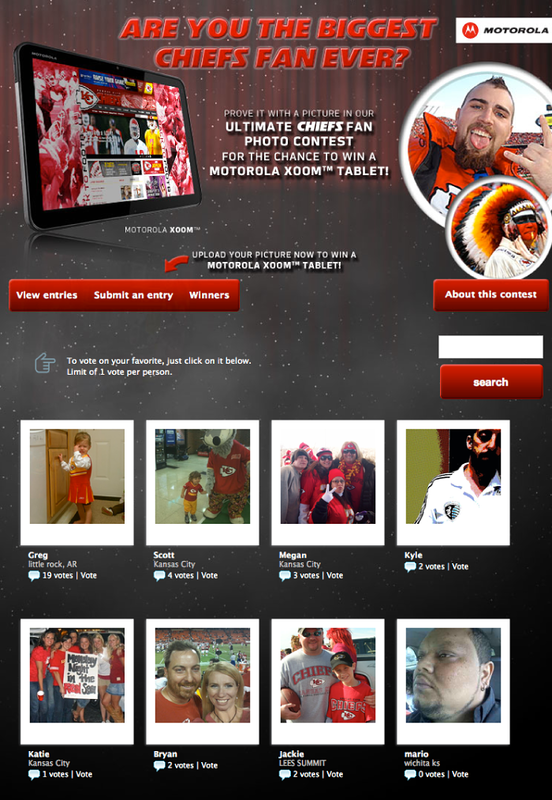 Offerpop photo contests engage fans by having them vote on photos or other user generated content, using natural Facebook behavior to drive awareness and viral participation. We like easy-to-deploy backend of the software and that it allows us front-end customization so we can appropriately brand the contests and offers we create for clients.